Interview: Is this the best job in the world? 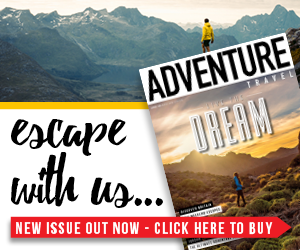 Adventure Travel: Tell us about your job? 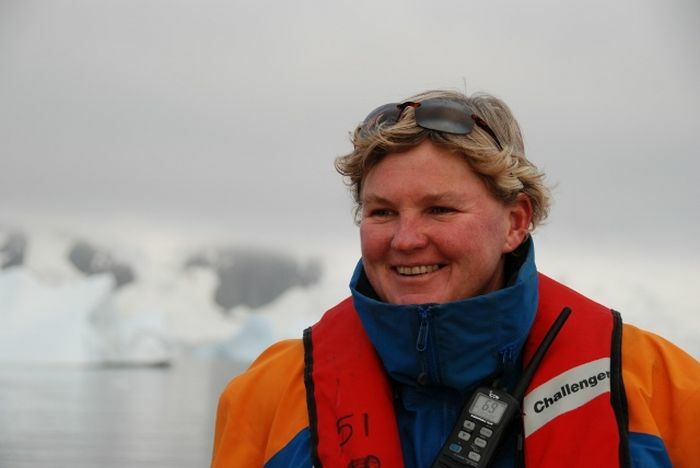 Cheli Larsen: The role of expedition leader for Quark Expeditions is not a job; it is an intensely exhausting and rewarding privilege. There is a whole lot of behind-the-scenes work and preparation as well as what is seen in the day-to-day operations. 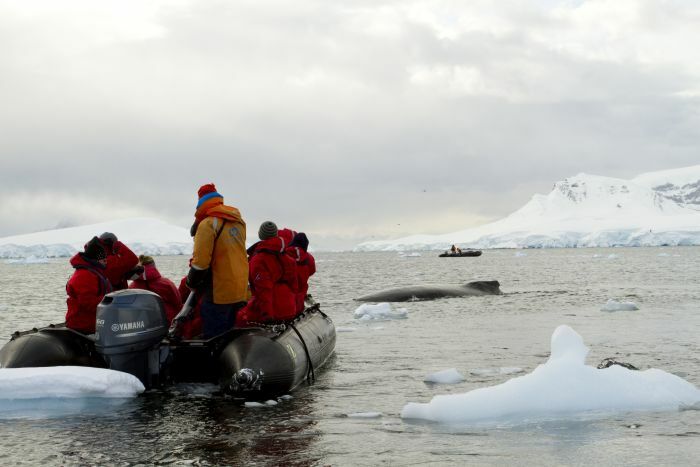 Guests onboard our vessels are given briefings at the beginning of the voyage in regards to our overall plan, visitor guidelines for the Antarctic, onboard zodiac operations and daily briefings along with clear communication to keep them safe and informed during the voyage. What you don’t see is the pre-season planning of our voyages and the recruiting of expedition staff to create a dynamic team. Once the season commences, liaising between the captain and the hotel manager on a daily basis ensures that we not only meet guests’ expectations but we exceed them. 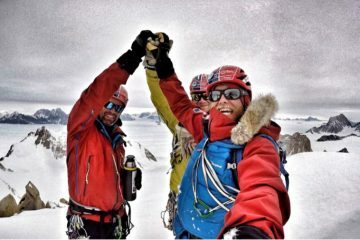 I lead the expedition team in a way that their personality shines through and their passion for their job and environment becomes infectious. I also assess landing conditions at each site and ensure that it is safe for our operations before we either go ashore for a landing or head off in our zodiacs (small inflatable boats) for a zodiac cruise. It is also not unusual to get a call from the bridge in the middle of the night if we encounter ice and need to change our plans for the following day. We are visiting one of the most remote and pristine wilderness places on earth and I have to be prepared to adapt whatever plans I have to what Mother Nature throws my way. AT: How long have you been doing the job? CL: I have been involved in the expedition cruise industry since 2000 and have been visiting the Antarctic as an expedition leader since 2005. 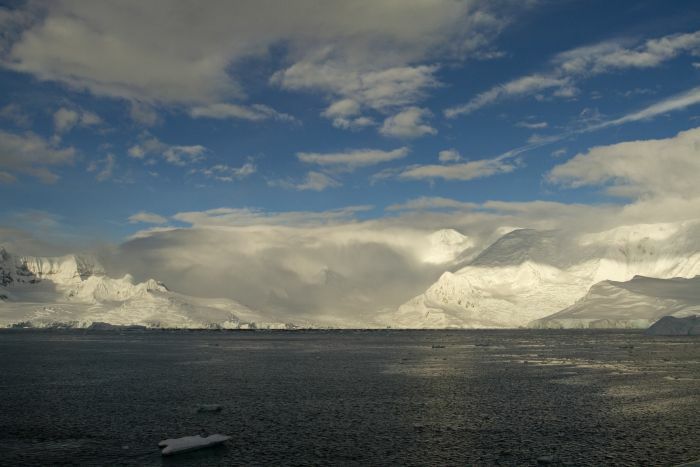 AT: How long do you spend in Antarctica each year? CL: The season begins in around mid-October and goes through until the end of March. I usually do half of the season so my contract is around 3½ months. I have not been home for Christmas in eight years but that will change next season so my family are preparing! 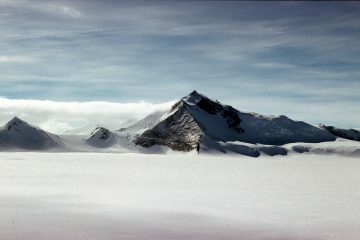 AT: What is the most amazing thing you’ve seen in Antarctica? CL: That is a difficult one to answer and if you have been you will understand. 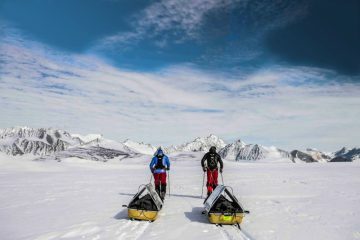 The best part is that every season the expedition team still experience ‘firsts,’ which can result in the staff being more enthusiastic than the guests. Some examples that come to mind were a pod of five orca chasing a chinstrap penguin around the ship – and it got away. Also, having a humpback whale rubbing itself on the bow (pointy end) of the ship; seeing an iceberg the size of a house implode before you; watching a penguin chick hatch; sleeping on the ice for the night and seeing a wandering albatross take to the air for the first time and knowing it won’t return to land for five years. The biggest kick I get though is witnessing guests experience a trip of a lifetime and sharing what can be a life-changing experience. You have to come to the Antarctic to understand! AT: You must spend a lot of time on a boat – do you ever get cabin fever? CL: The only kind of cabin fever I get is being on land too long – my heart and career belong on the water. AT: Do you have the dream job? CL: In a word, yes. I feel very privileged to do what I do. Not only do I get to meet people from every corner of the globe, I work as part of a highly educated, experienced and passionate team in an environment everyone should experience at least once – but once is never enough. My favourite saying is ‘Life is not measured by the number of breaths you take, but by the moments that take your breath away.’ I have certainly had many of them, and look forward to many more. AT: How can we get your job? CL: You can’t have mine until I retire, but some of the skills I find valuable are being able to drive a zodiac – get as much time on the water as you can. 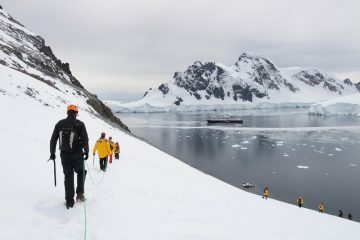 Vitally important is gaining as much knowledge as you can in regards to the Antarctic – history, geology, wildlife and climate, for starters. Know how to create and manage diverse and dynamic teams and use the resources you have available. 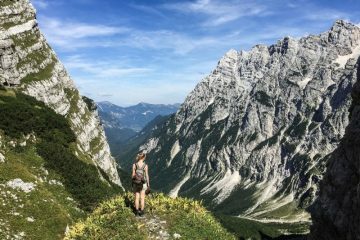 It can help to know how to live on minimal sleep in a house that can sometimes ‘move,’ and have a love and passion for adventure. 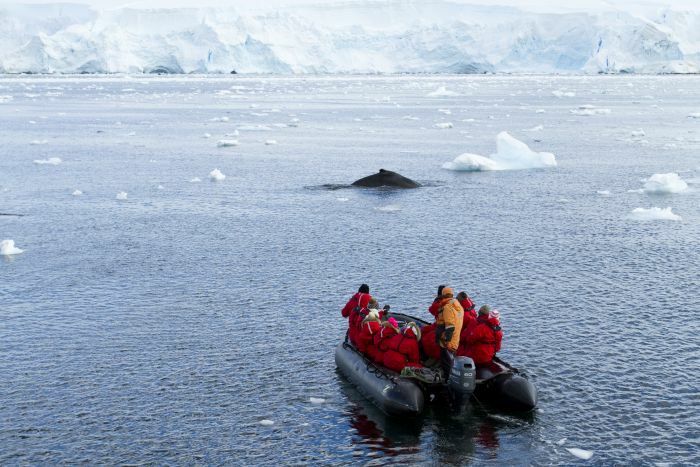 AT: What’s your top tip for first-time visitors to Antarctica? CL: Pack your adventurous spirit, be open to changes and know that we make the most of any opportunity that presents itself no matter what time of day or night (which can sometimes not be very long). Also remember to put the camera down. Sometimes it is impossible to capture on a camera what you are seeing or experiencing, so just take it all in. It will stay in your heart and mind forever.